While machines might give the same level of output everyday, the same doesn’t apply to people. In a real environment, each member’s momentum and motivations will change without notice. This requires management to step in and make sure they are constantly evolving the processes so that members will remain motivated. Leadership is important to motivate key players, channel information to keep everyone engaged and make working horizontally routine. To accomplish this, management might bring in an outside champion, who will help wring in new ideas and “fresh” stream of motivation. Instead of looking at a project as a whole, it should be broken down into smaller goals that are realistic and achievable. Management should encourage and build on small success, to demonstrate that it was an important milestone and motivate members. Progress and results should be demonstrated so that members can all acknowledge the ongoing progress and success. Management can keep the members interests by ensuring that they are always focused on achieving the goals that were set, and if deviation is detected, corrective action is taken to bring things back on track. A horizontal team is dynamic as it is always changing, management needs to account for its dynamic nature and make necessary adjustments to accommodate/adapt to the change. Money is probably the best motivator, but too much money too early in the process can hinder individual initiative and prevent people from innovating. 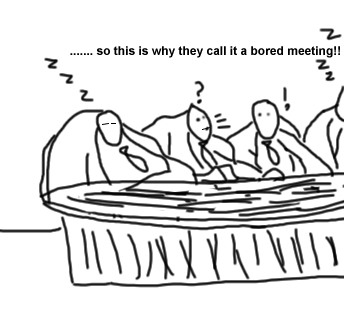 Since horizontal structures focus on team collaboration, a downfall is that meetings can go on forever and schedules can be missed; this can unmotivated some members who feel that decisions are not being made in a timely manner, which is why management can implement deadlines which will help practitioners develop a common schedule and manage workloads effectively so that the projects momentum is kept at a steady pace. This isn’t anything new: Individual or a group of individuals (champions) see the benefits of process improvement, understand process improvement, and want the organization to benefit from process improvement by implementing process improvement. – What a novel idea. In order to successfully implement and benefit from process improvement, its imperative that management sponsors the process improvement initiatives/activities. 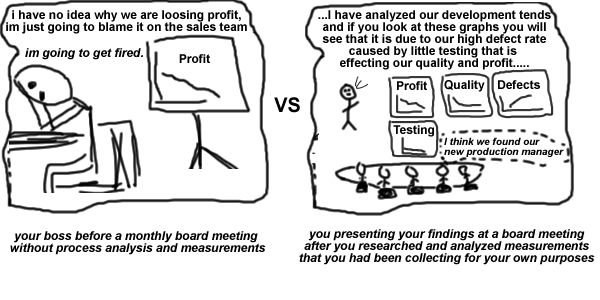 If management, or (in a smaller company) the owner does not see or understand the benefits of process improvement the truth is that it will never be successful. Champions who try to implement process improvement by themselves will lose the motivation for (process) improvement along the road as they get busy with tasks and other responsibilities; this is especially true when they are going to be the only ones who are making the effort. 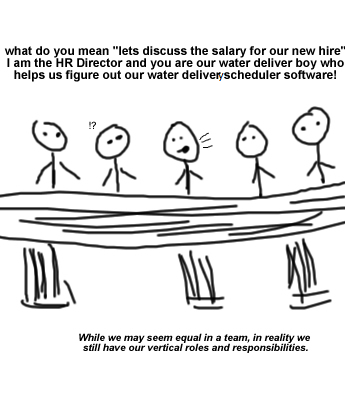 For example, an individual (software developer) trying to sponsor process improvement themselves to their own work, working for a company that has no form of formal requirement gathering or does not follow a software development model will soon get tired of putting in the effort (to gather requirements formally) as it will go unnoticed and unappreciated (maybe even criticized). There might be even cases where the organization is so small (agile would work great here) that it would be impossible to place a “formal” process improvement methodology or cases where the organization feels that the processes they have right now are “perfect”; even though they might not be. To determine if process improvement is required we can use the history of how well past projects went, under budget, over budget, issues that were faced and so on. We can also measure certain things and create actual results that tell us how good or bad our current process actually is. It is always easier to explain your point to upper management when you have actual data and visuals such as charts that can be analyzed and used to substantiate your point; this is where measurements come in. Measurements themselves can be a complex and important tool that can be used in process improvement models such as CMMI, but it is not until level 2 and 3 (in CMMI) that you actually get to make use of those measurements. At some point (idea for another post) I will discuss how quick and dirty measurements can be put in place without too much of a hassle (and measure process without process). Not everyone is a “process” person and fail to understand the importance of process (and a formal SDLC). Many will however understand results obtained from the measures when they are presented and used to talk about costs, budget, resources and timeline’s. To stay ahead (or on top) of the game, we must recognize that change is good and that we must be continuously improving the way we work. While reading a book “90 days” I realized that I had been through these stages multiple times, fortunately walking away successful. It also made me realize how close I was to a possible failure in some of the changes I had made and because of this realization; the Change Cycle will always be on the back of my mind when I attempt to drive Change. I took the concept that was in the book and modified the terms as it was easier for me to relate the “change cycle” to something I already knew, the “process cycle”. Good process should be well tailored to the organization that intends to benefit from it. Process is much easier to implement when its implemented in stages based on a feedback loop; When improving or introducing process, a big concern is usually how fast and how much? Well, too much too early generally results in resistance to change and too little too late results in process loss. It should be formally defined and shared among the team as the formal process. Optimize and continuously improve the process. The concepts of the “process cycle” for introducing a process are very close to the concepts of a “change cycle” for introducing a change. Optimize and introduce other changes as needed; this is your optimal success cycle. 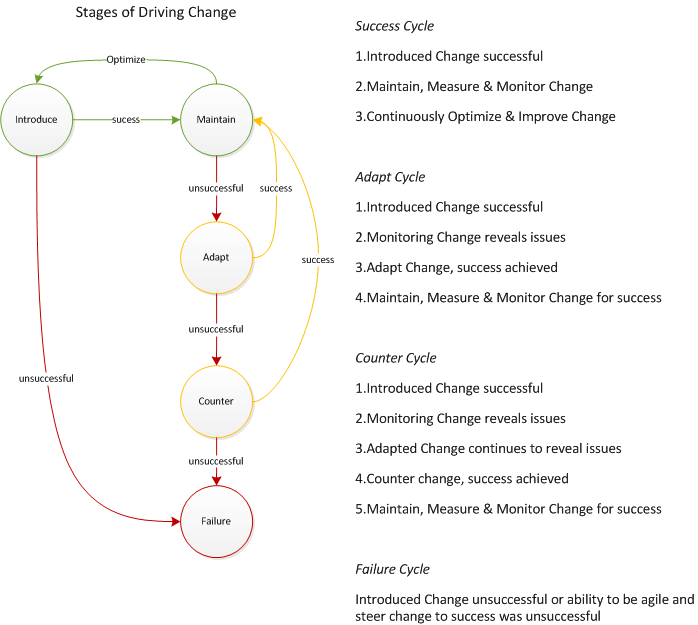 Adapt the change to make it maintainable; this is the adapting cycle. Change direction and counter the change; this is the Counter cycle. If the change cannot be countered and be made maintainable, you will end up with a failed change. You can also end up with failure if your introduced change is not successful. A change can easily be unsuccessful if it’s too large; rubs people the wrong way, inappropriate, incorrect, etc. Sometimes we start in this cycle at a completely different stage, for example we may realize that we have inherited a change put in place by someone else (different team, a VP, etc.) and we now need to act and adapt their request, or counter the change, making it successful. The 90 days book does a good job of giving a more general view of the change cycle; for me, the stage comparison of the two cycles makes sense. The change cycle for making changes is just a small piece of the puzzle. How you go about obtaining buy in from your team, peers, and higher ups is another big part of the puzzle that will either result in success or failure. That will be a topic for another day.